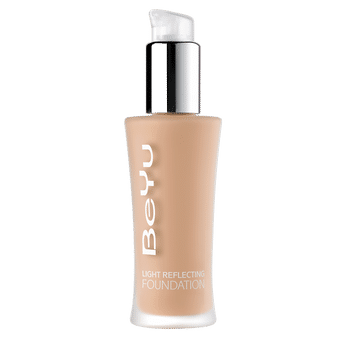 BeYu Light Reflecting Foundation is a light-weight foundation that perfectly hides imperfections. It has a velvety-creamy texture, contains Vitamin E, Squalane and an UV-filter to protect and nourish your skin. Does not settle in lines and wrinkles. The complexion looks radiantly fresh. Suitable for normal, dry and combination skin of any age. Alternatively, you can also find many more products from the BeYu Light Reflecting Foundation range.